In this article. we will look into B12 benefits, health risks associated with it and the possibility of better alternatives. Due to great medical research breakthroughs and immense knowledge on human biology, it has become possible to know the exact amount of B12 minerals and nutrients among others that are needed on a daily basis. 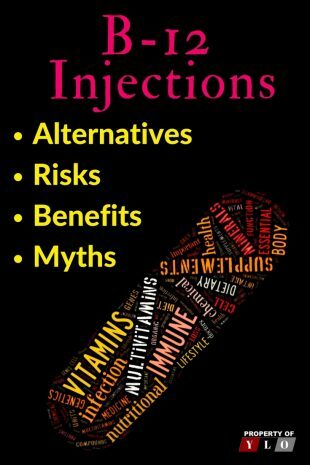 As a consequence, it is common to hear a discussion about the B12 injections benefits for women and recommendations of its use intervals. NOTE: The whole idea of using dietary supplements is not that foreign or unlikely as their use is becoming a common thing, not to mention the innumerable benefits. It is for that reason FDA admits that supplements are good when you are trying to keep up with nutritional needs. And while it agrees that they are beneficial, it also acknowledges that some have some health risks. 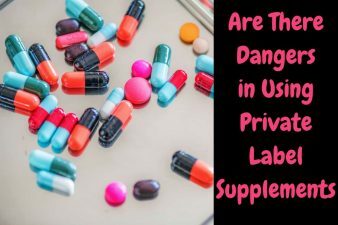 However, FDA states that it does not review nor does it have the authority to state whether dietary supplements are safe and effective before they reach the market. It thus recommends that before you use any supplements to seek the advice of your healthcare provider. This is because some supplements have been well established, while others are still under study not forgetting also the fact that our bodies are unique and react differently to supplements. According to University of Maryland Medical Center, Vitamin B12, also called cobalamin, is a water-soluble vitamin that has a key role in the normal functioning of the nervous system via the synthesis of myelin (myelinogenesis), and in the maturation of developing red blood cells in the bone marrow. It is involved in the metabolism of every cell of the human body: it is a cofactor in DNA synthesis, fatty acid metabolism, and amino acid metabolism. No fungi, plants, or animals (including humans) are capable of synthesizing vitamin B12: only bacteria and archaea have the enzymes needed for its synthesis. Other sources are foods with the vitamin artificially added (“fortified”), intramuscular injection, and vitamin B12 tablets (“supplements”) taken either orally or sublingually (put under the tongue). You might be wondering if this vitamin is that common, why do people need B12 injections. Well, with age, it becomes quite difficult to absorb this vitamin as the stomach produces less acid, which necessary in the assimilation of B12. Moreover, B12 deficiency might also be caused by surgical removal of the ileum part of the intestine, weight loss surgery, heavy drinking, and continual intake of acid-reducing medicine. Furthermore, people with medical conditions such as atrophic gastritis, pernicious anemia, lupus, immune system disorders, Grave’s Disease, Crohn’s Disease, Celiac Disease, among other infections might also be at risk of vitamin B12 deficiency. This is because those conditions inhibit the production of an intestinal protein that is so important in aiding the absorption of B12. And people who have Vitamin B12 deficiency exhibit symptoms of tiredness vision loss, mental problems, loss of appetite, diarrhea, constipation, smooth tongue, nerves problems, pale skin, short of breath, heart palpitations and anemia. 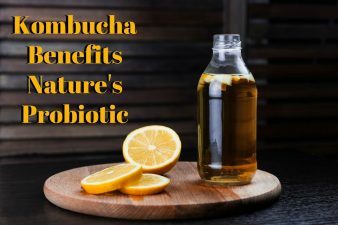 It is important to understand that despite there being B12 pills, which can be orally taken, they will not be effective if you have a problem with the essential part of the small intestine that is responsible for the production of intestinal acid and a protein that aids in B12 absorption. If that is the case, the only option for you would be to use B12 injections. Reduces the feeling of tiredness and helps in the treatment of anemia. It is important to remember that B12 deficiency causes anemia and fatigue. However, if you take B12 injections, you will be able to restore and enhance your muscle mass and reduce their weakness. Moreover, healthy levels of B12 can help in treating anemia. B12 injections regulate hormone production, boost metabolism, and energy. As a result, your body will be able to sleep well, function at optimal levels, and control your cortisol levels, which are correlated with stress. The B12 helps in preventing stress and depression as it restores your mood positively. In addition, B12 injections are useful as they help in fighting dementia and cognitive decline, especially in older people. B12 helps in unclogging the arteries by regulating homocysteine levels, which when uncontrolled can lead to stroke, heart attack, and coronary heart disease. Despite those B12 injection benefits, you are probably wondering if there any side effects or risks. And the answer is yes. However, the risks do not outweigh the benefits. It would seem obvious that when you take this vitamin that it will be automatically be absorbed into your body. Nevertheless, that is not always the case. Therefore, you might take this injection and get zero results. On the other hand, high doses of B12 injections might interfere with other body minerals, enzymes and vitamins not forgetting its ability to interact with antibiotics, diabetic prescriptions, and metformin among other drugs and hinder their normal functioning. Naturally, this vitamin is commonly found in fish, poultry, animal foods, dietary products, eggs, meat, and poultry. Furthermore, it can also be found in foods that have been fortified with it. It is important to note that the daily government recommendation of B12 if you are above 14 years, pregnant, or breastfeeding, is 2.4 mcg, 2.6 mcg, and 2.8 mcg, respectively. 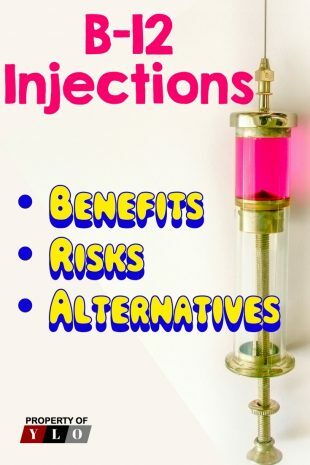 When you look deeply into this analysis of B12 injection and its benefit, we can confidently agree that its benefit outweighs its risks and in some cases, it might be the only way to take B12. 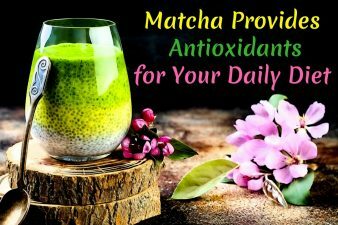 This is because for you to able to get B12 naturally or orally in forms of pills, your body should be capable of absorbing it and producing the necessary acid and protein that aids its assimilation. However, in some situation, a medical condition might make the natural assimilation of this vitamin impossible leaving you with only one alternative, B12 injections. Let us know if you have tried B12 injections or any B12 supplements and how it is working for you. Our readers all are looking for information on healthy lifestyles.